It’s been a while, but I’m back with a scrummy North African butternut squash vegan stew for you. It’s a winter warmer full of flavoursome fresh ingredients and earthy lentils which give it body and a heartiness that makes it especially comforting on these cold, dark days! This is a stew from my childhood in Cairo, the spicing can be ramped up or reduced depending on how much heat you enjoy from fresh ginger root and chillies. Egyptian chillies are hot (you can sometimes get them in Waitrose) but if you are using regular ones you may want to double the amount. For me it is comfort in a bowl. I love it with huge chunks of beautiful butternut squash, but this means it takes a while to cook. If you’re in a rush chop your butternut squash into smaller cubes. It also works with other squashes. We love ours with rice and a dollop of coconut yogurt as photographed above. But it also works really well with our simple flatbreads or our lime and coriander flatbreads. Huge apologies if you tried to visit free2bake whilst it did a surprise vanishing act! It took me a while to recover the website but I think I have done the trick. If you find any issues or glitches please let me know, and I will endeavour to fix them and protect my website from ever vanishing again! Also check out our new recipe index – it makes finding your favourite recipes all the more easier! Whilst I was away Aars had an intense hospital appointment – 28 skin prick tests showing more anaphylaxis to new foods and a lot of blood tests ordered to try and ascertain what is to do with tree pollen allergy, EoE and pure food allergy/anaphylaxis… it is complex and the appointment raised more questions than it answered. Amazingly Aars is no longer anaphylactic to dairy – but due to EoE we were advised to keep it out of his diet still. Apparently there are kids who have never had a dairy allergy, but milk causes the worst EoE in them. EoE, allergy and tree pollen sensitivity and their relationship to each other are fields of ongoing research. The consultant we see at the Royal Free was very affirming of Aars’ contribution to research and increasing understanding in the field, as his blood results are so extreme. 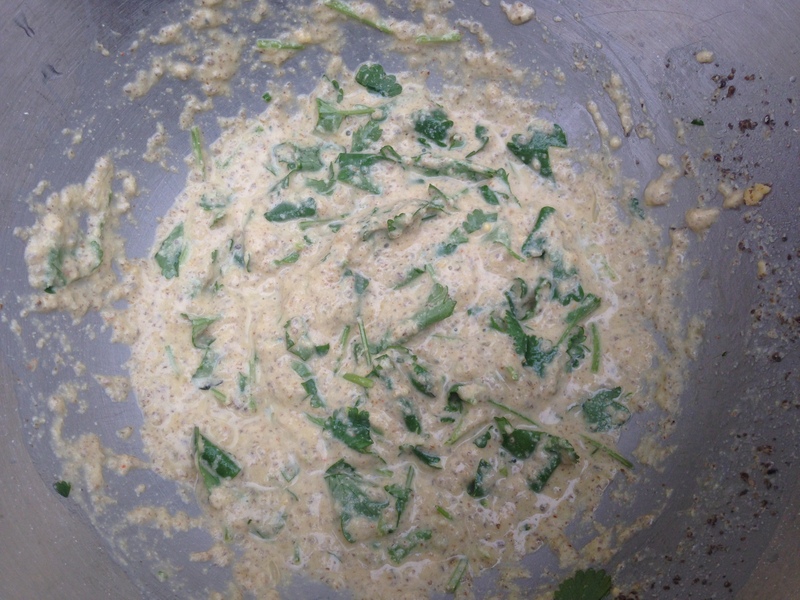 She also listened to Aars when he said he wanted to be tested for an allergy for mustard – something we have always avoided in his diet – as all his food is made from scratch by me it’s been easy to avoid! So she tested him and he is anaphylactic to mustard. She congratulated Aars on voicing his concern, and listening to the feelings and senses he has about food. She said that severely allergic children are often very intuitive about what is safe and what is not safe for them to eat, and we should listen to them and respect their feelings about food. Another thing that is wonderful about the Royal Free is that all his care is under one roof. EoE remains in the realm of gastroenterologists, but the paediatric allergy consultants and paediatric gastroenterologist are conferring with each other, sharing information and trying to help Aars be as healthy as he can be. It is also great that they are encouraging us to try and manage the EoE through diet as opposed to using steroids. So all in all it was a very affirming day at hospital, although Aars was absolutely wiped out by it. He has his next hospital appointment in a couple of weeks, when we should get all the results of the blood work they ordered. Hopefully we will gain a little more understanding and have some of the questions answered. In the meantime Aars is enjoying apple crumble a-plenty as our friend Sarah dropped masses of fresh brambly apples over from her farm, and my recently developed Christmas spiced flapjacks – I will get the recipes on here soon! And while you wait give this scrummy North African butternut squash vegan stew a go. These super simple flat breads are really easy and speedy to make, we love them fresh from the pan, unadulterated as they come! You can spice them up or eat them plain with curry if you prefer! 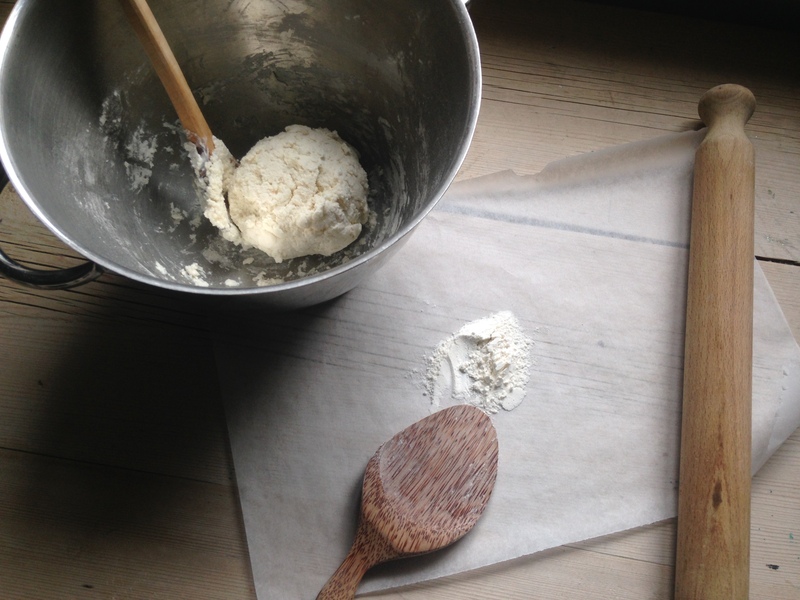 In a large mixing bowl combine the flour, baking powder and salt. Stir in the coconut yogurt until it's just combined (see photo below). Cover the bowl and leave to sit for 10 minutes. Once one side is browned, flip the bread over and pat it down as it cooks on the second side - takes about 1½ minutes. When the second side is browned pop onto the gas flame for about 10 seconds to get that lovely smokey flavour and watch it puff up! Flip and do the same on the other side. Eat straight from the flame or store in a tea towel to keep warm so you can serve them with a curry. You can also create a yummy oil with herbs in it to brush over the flatbreads as soon as they come off the flame to add extra flavour. *I tend to roll them out as I go whilst the previous one is in the pan. These vegan & gluten-free gram flour flatbread are packed full of earthy chickpea and fabulous fresh coriander flavour. Super simple to make and perfect accompaniment to curry! In a mixing bowl combine the ground chia seeds, gram flour, cayenne and salt. Whisk in the water, lime juice and oil. *it should be runny like a batter for pancakes - gram flour varies in absorbency so make sure you have a nice wet dough - you'll get an idea from the photo here. Heat up a frying pan and add a blob of oil to melt in it. When the pan is hot, spoon in some batter and spread around the pan with the back of the spoon like you would a crepe. It should take about 2 minutes to cook on the first side and about 1 minute to cook on the second. Pop the cooked flatbread into a clean tea towel in a bread basket to stay warm and then fry your next flatbread. These are best straight from the pan, but as we like to eat together I make a batch before we start eating and keep them warm wrapped in a tea-towel. **the more coriander you add to the mix the harder it is to hold your batter together - but persevere as the coriander is SCRUMMY!